We provide the platform for engaging students at risk for school failure by incorporating 21st Century Skills that develop self-awareness, self development and social responsibility. 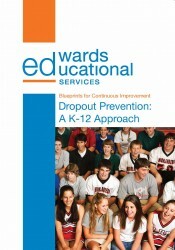 For the past 10 years, Steve Edwards has been a Board Member of the National Dropout Prevention Network, the number one source for research and best practices for reducing the dropout rate in America. Steve also heads the committee for Research and Best Practices for Dropout Prevention for NDPC. He is also a featured keynote speaker and expert on the topic of reducing the dropout rates in schools. Contact us for more information on how our effective multi-tiered process on reducing dropout rates that we’ve used in districts around the country can be implemented in your school/district.